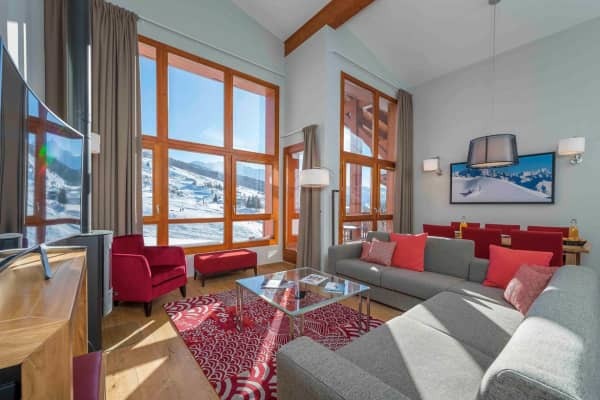 Residence Edenarc boasts spectacular panoramic views of the majestic Mont Blanc and enjoys a good location, right on the piste in the Charmettoger area of Arc 1800. 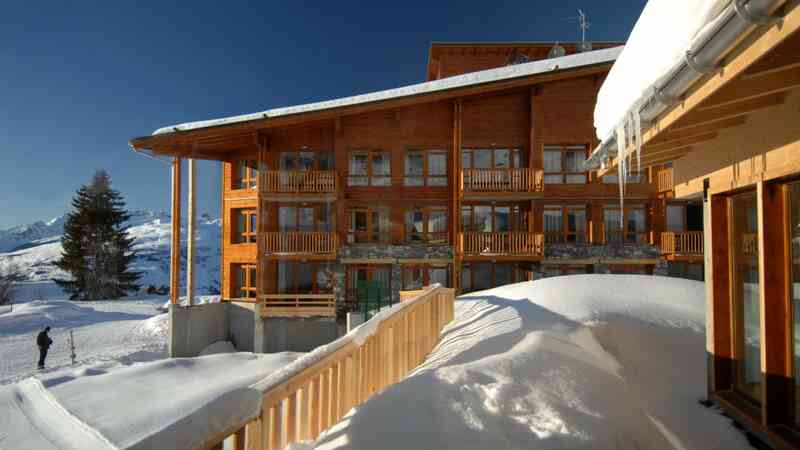 This residence provides a great standard of accommodation and each apartment is modern and spacious yet cosy. 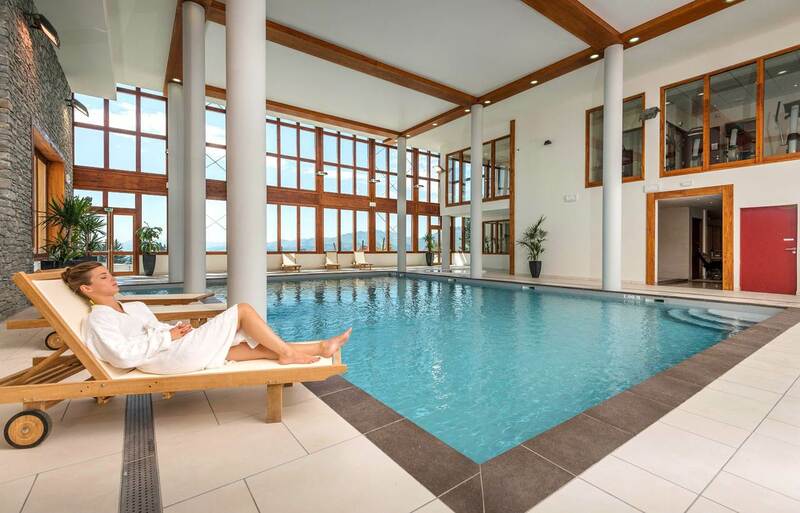 Everything you need to ensure that you enjoy a comfortable and enjoyable stay is on hand in this self-catering option. 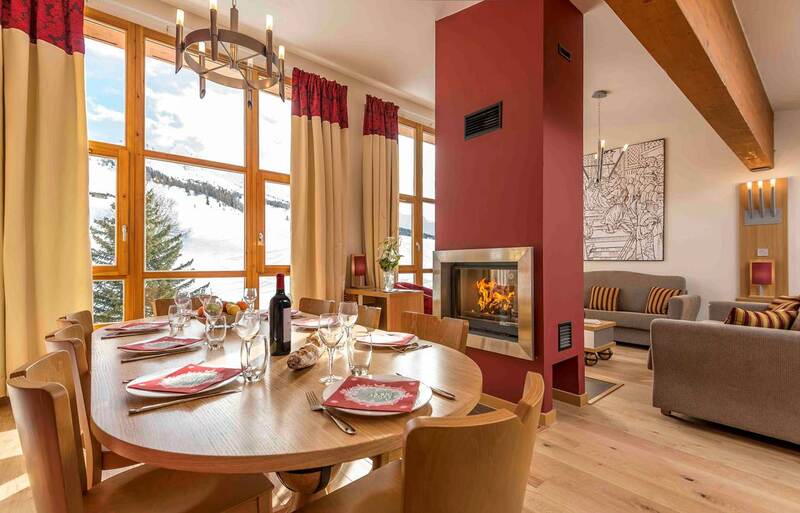 You will have the freedom to come and go as you please and of course to cook how and when you want to. 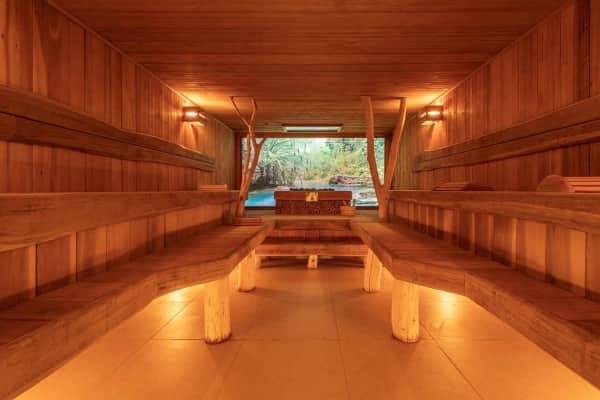 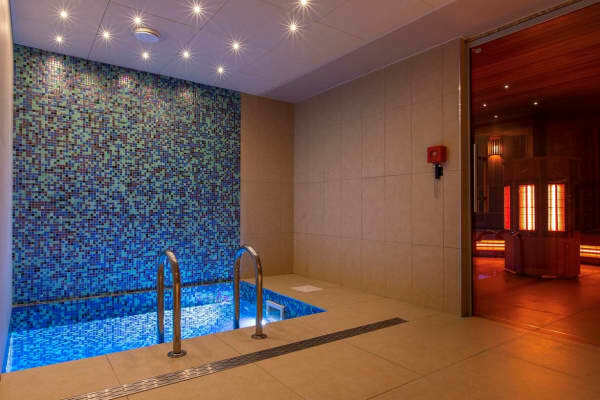 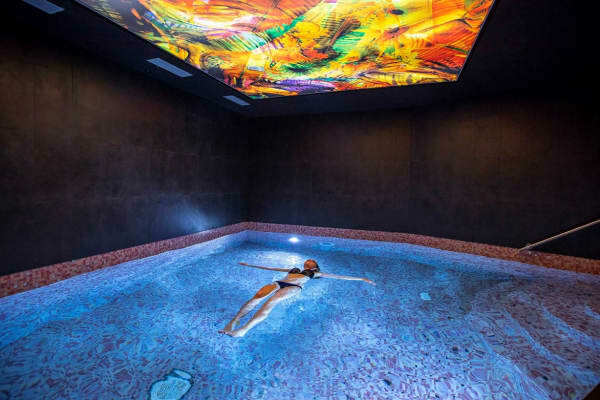 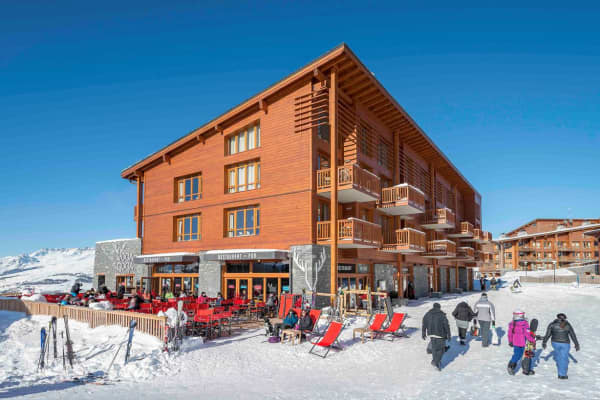 Designed with skiers in mind, Edenarc not only boasts ski-to-door access but there are also internal routes throughout the residence and a corridor which links directly to the luxurious aqua-centre, where you will find an indoor swimming pool, sauna, steam bath, jacuzzi and a heated outdoor swimming pool. 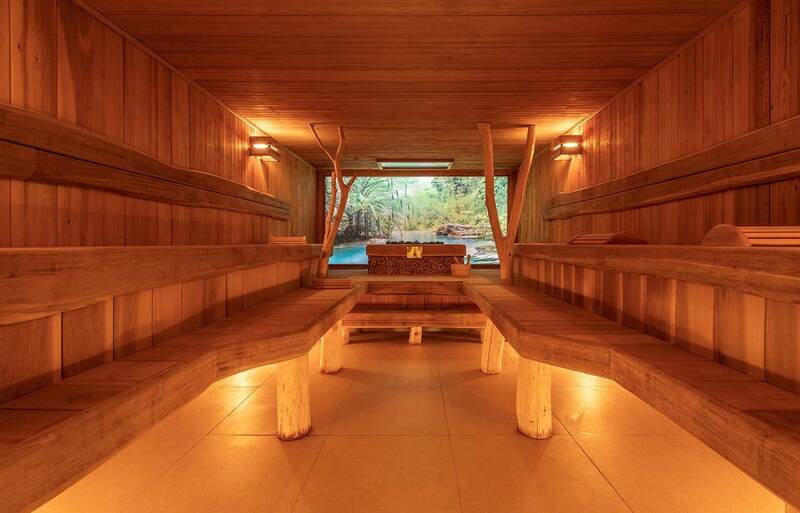 The absolute perfect antidote to tired ski-weary muscles after a few days on the slopes. 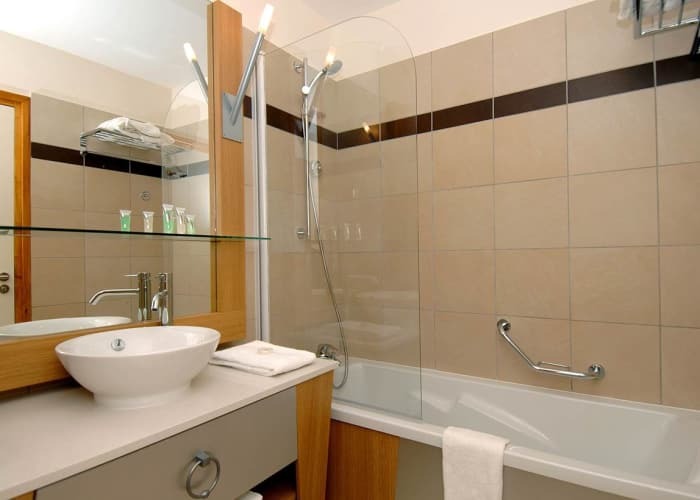 The standard of these apartments and its facilities is fantastic. 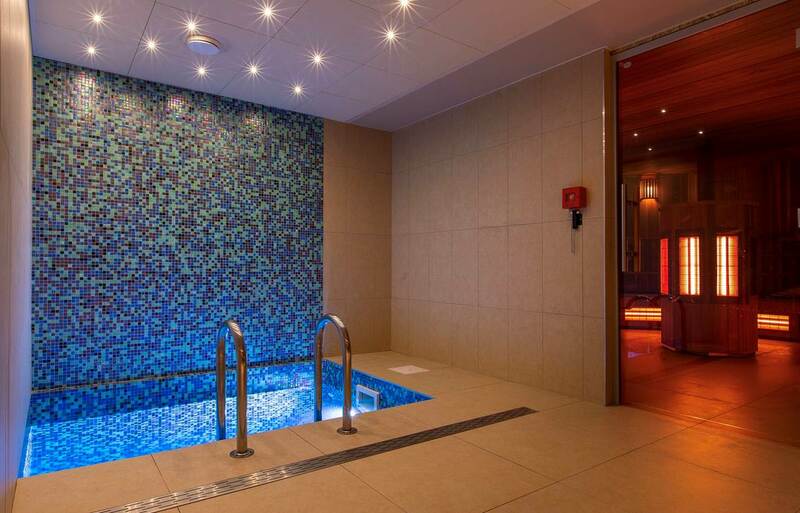 They are modern, spacious and beautifully decorated and access to the aqua-centre adds a real sense of luxury. 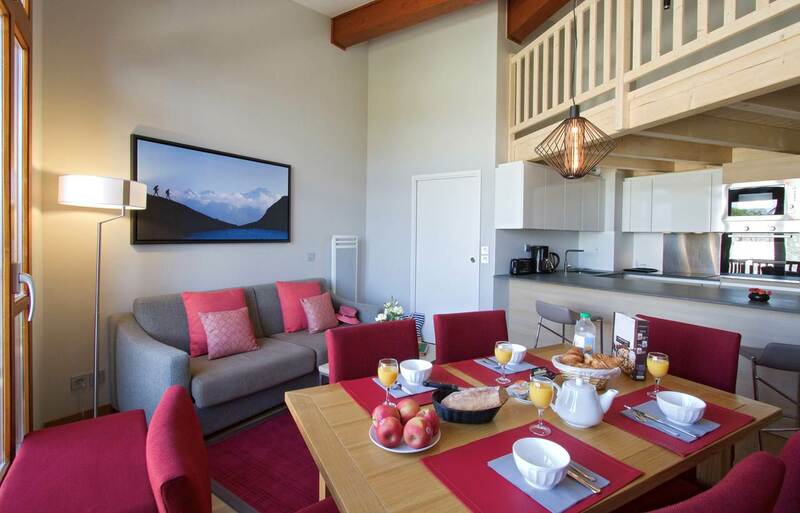 This beautiful, spacious apartment is modern and well decorated and has everything you need for a wonderful 4 star self-catering stay. 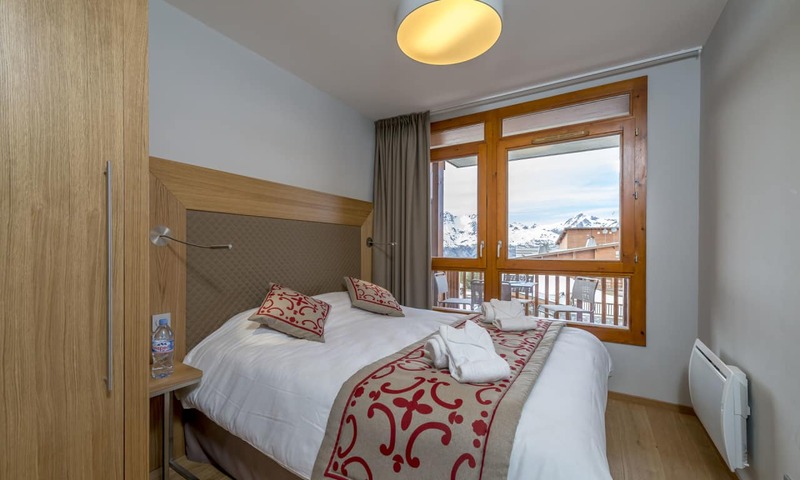 There are 2 bedrooms, one with a double bed and the other has 2 single beds. The living area has a sofa bed that can sleep 2 if required. 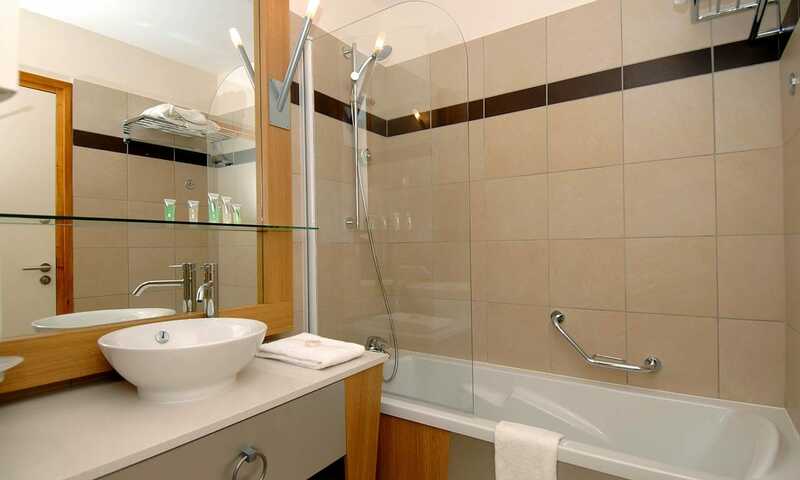 There are also 2 bathrooms, one with a shower and one with a bath. 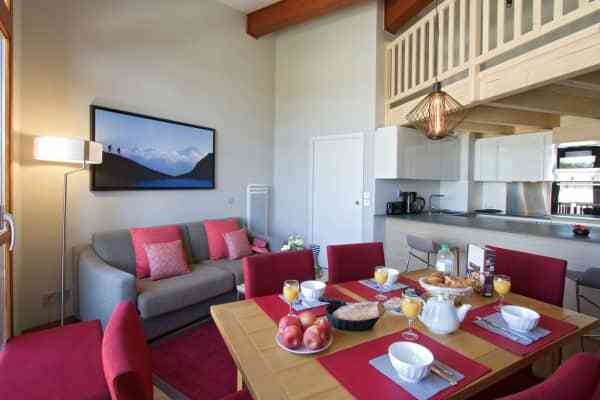 There is also a well-equipped kitchen that allows guests to make the most out of their self-catering accommodation. 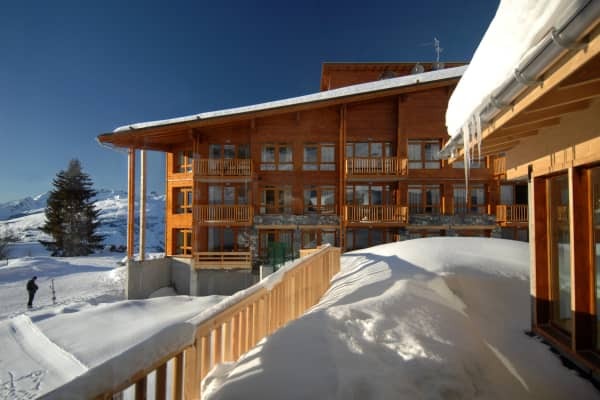 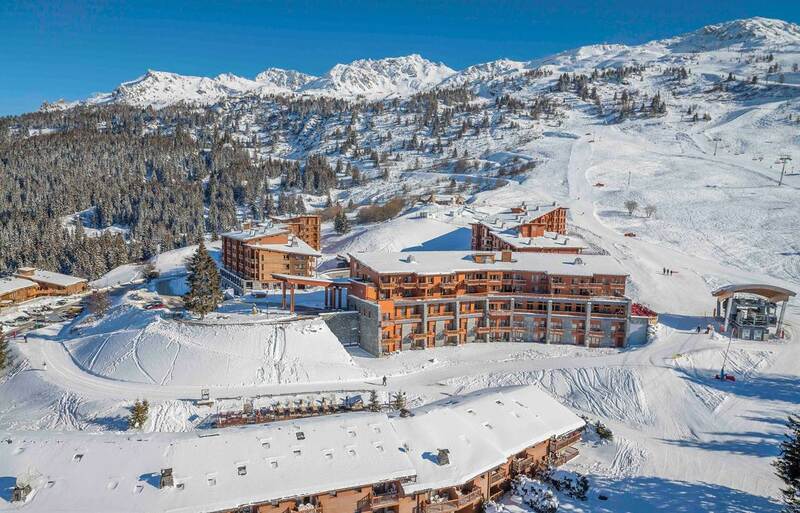 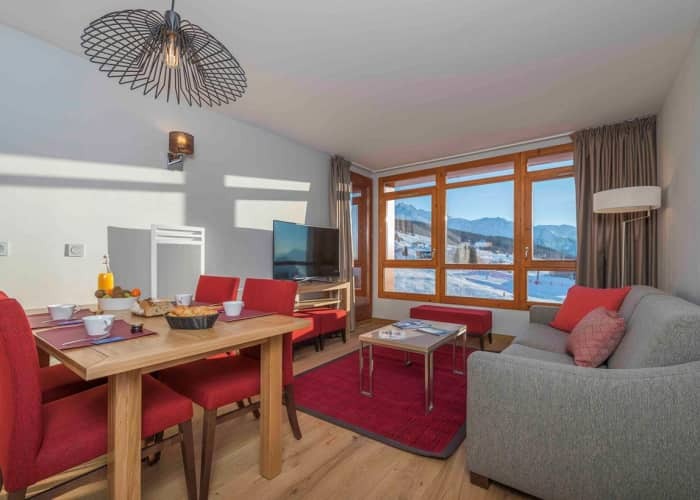 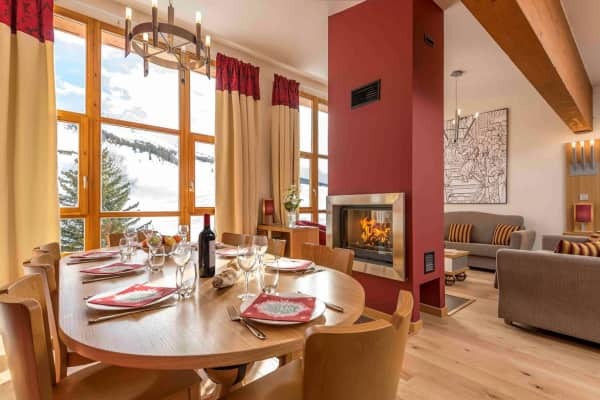 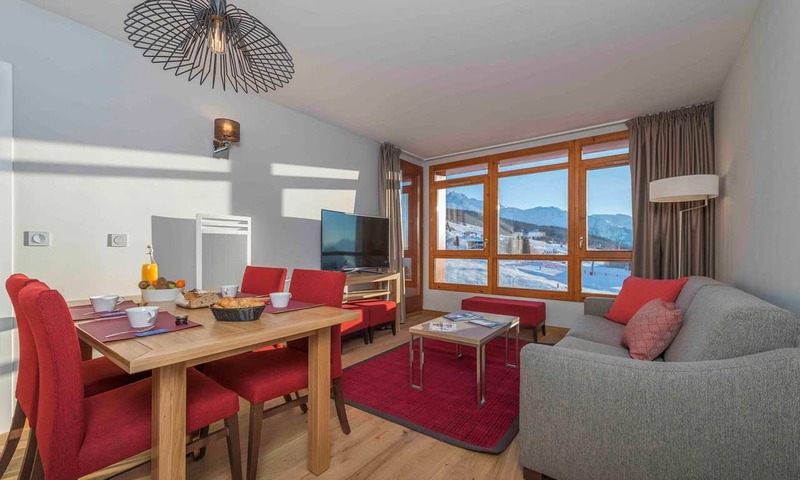 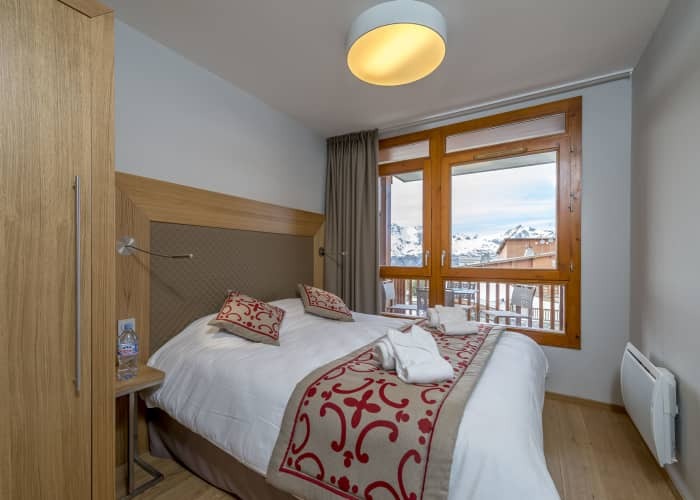 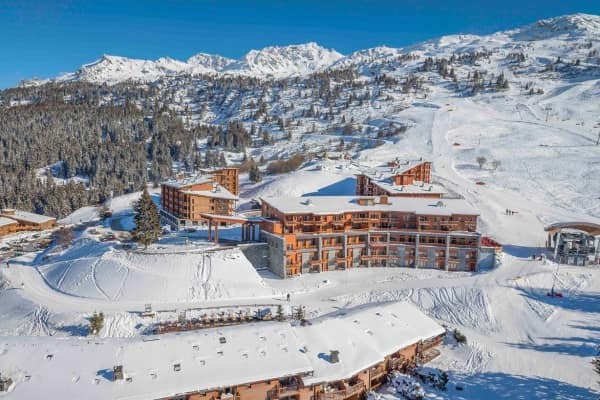 Edenarc is well located, just metres from the 1800 mid station ski lifts which opperate between 8am and 11pm and you can get to the resort centre in as little as 20 minutes on foot.